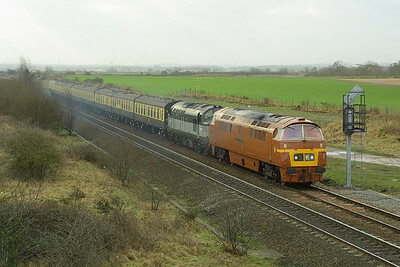 D1015 'Western Champion' is pictured at Catholme on its mainline proving run, 1Z15 1010 Kidderminster-Walsall (via Sheffield), with 37197 tucked inside for insurance on 28/01/2002. 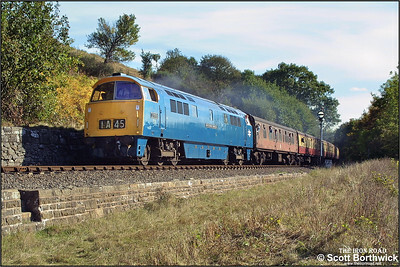 D1015 emerges from Foley Park tunnel whilst working the 1200 Kidderminster-Bridgnorth service on 04/10/2002 during the Severn Valley Railways Autumn Diesel Gala. 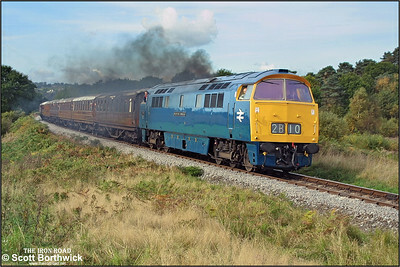 D1013 'Western Ranger' nears Foley Park Tunnel clagging nicely whilst working the 1105 Bridgnorth-Kidderminster service during the SVR 2002 Autumn Diesel Gala on 04/10/2002. 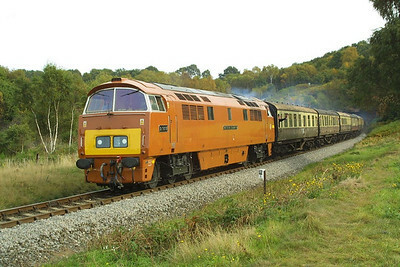 D1023 'Western Fusilier' approaches Foley Park Tunnel whilst in charge of the 1235 Bridgnorth-Kidderminster service during the 2002 SVR Autumn Diesel Gala on 04/10/2002. 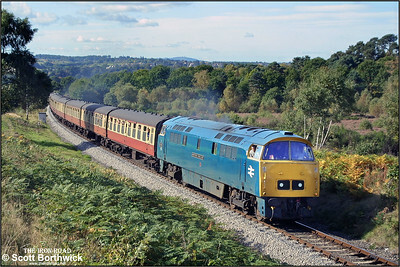 D1013 'Western Ranger' heads the 1415 Kidderminster-Bridgnorth service past Northwood Lane, Bewdley on 04/10/2002. 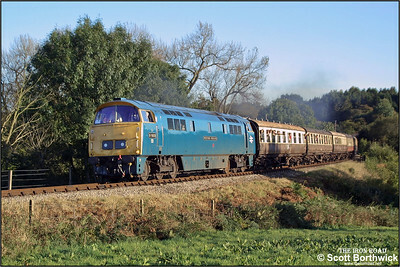 D1023 'Western Fusilier' passes Haye Bridge whilst in charge of the 1545 Kidderminster-Bridgnorth on 04/10/2002. 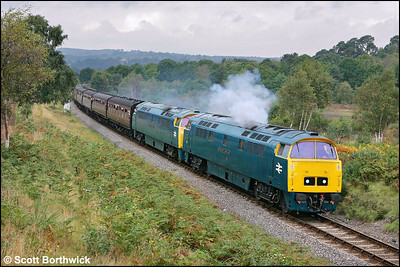 D1023 'Western Fusilier' and D1013 'Western Ranger' are about to enter Foley Park tunnel with the 1045 Bridgnorth-Kidderminster service on 01/10/2004. 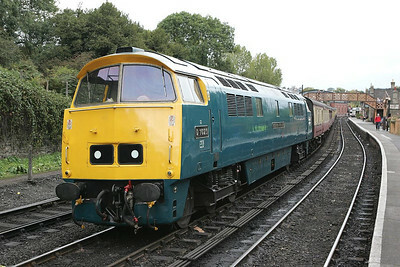 D1023 'Western Fusilier' stands at Bridgnorth prior to working the 1534 Bridgnorth-Kidderminster service on 01/10/2004. 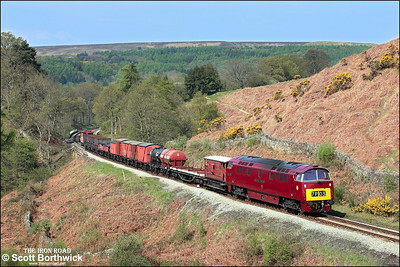 D1015 'Western Champion' climbs the bank at Thomason Foss on 09/05/2008 whilst in charge of 7P03 1030 Grosmont-Pickering demonstration freight. 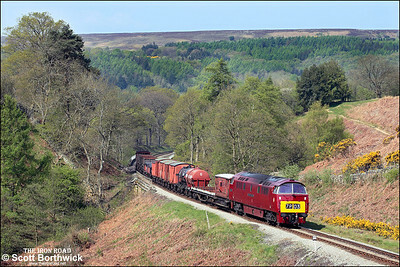 D1015 'Western Champion' passes Thomason Foss on 09/05/2008 whilst in charge of 7P03 1030 Grosmont-Pickering demonstration freight. 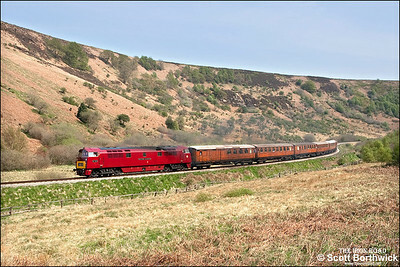 D1015 'Western Champion' rolls downgrade at Thomason Foss with 2G08 1300 Pickering-Grosmont on 09/05/2008. 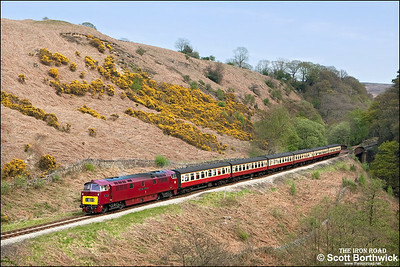 D1015 'Western Champion' passes Moorgates with 2P13 1530 Grosmont-Pickering on 09/05/2008 . 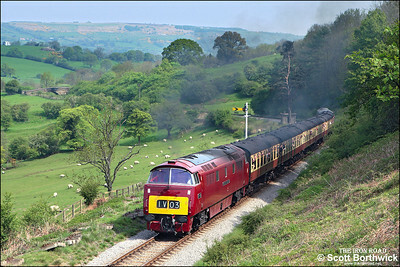 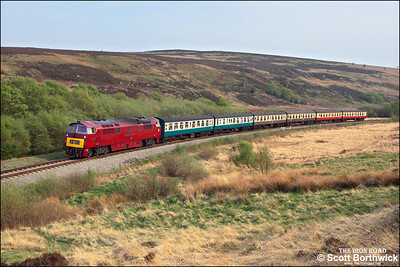 D1015 'Western Champion' thrashes up the bank at Green End whilst working 2P65 1100 Grosmont-Pickering on 10/05/2008. 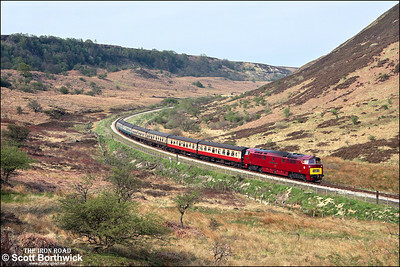 D1015 'Western Champion' opens up as it accelerates away from the Newtondale reverse curves whilst working 2G70 1330 Pickering-Grosmont on 10/05/2008. 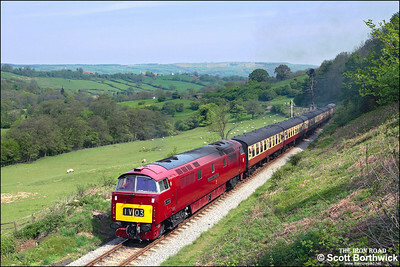 D1015 'Western Champion' powers away from the Newtondale reverse curves whilst working 2G70 1330 Pickering-Grosmont on 10/05/2008. 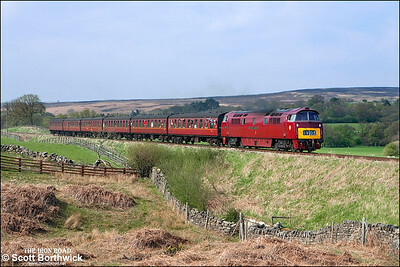 D1015 'Western Champion' runs through Northdale as it approaches Carter's House with 2P75 1600 Grosmont-Pickering on 10/05/2008. 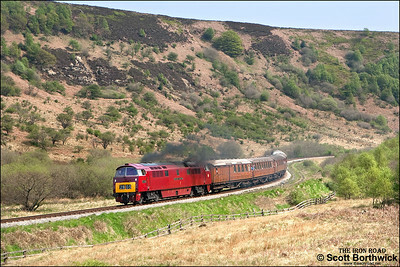 D1015 'Western Champion' passes Fen Bog whilst working 2G78 1730 Pickering-Grosmont on 10/05/2008. 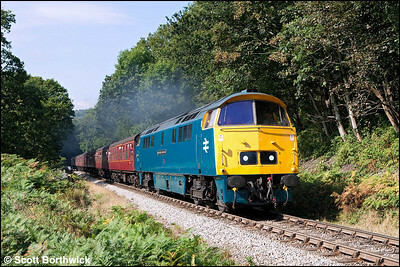 D1023 'Western Fusilier' storms up the bank at Beck Hole whilst working 2P69 1250 Grosmont-Pickering on 19/09/2009. 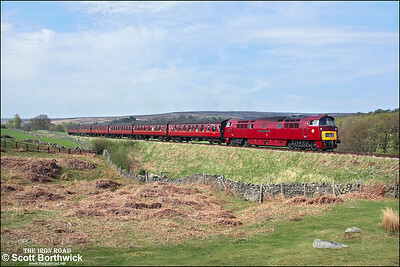 Due to a points failure at Pickering the train terminated at Goathland. 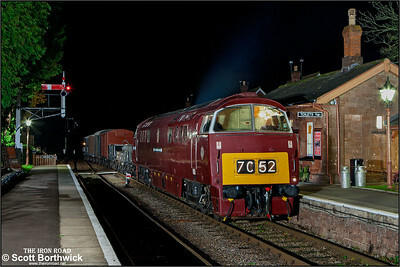 D1048 'Western Lady' undergoes maintenance inside the shed at Swanwick TMD on 12/12/2009. 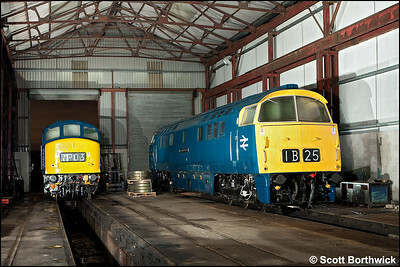 45108 stands alongside. 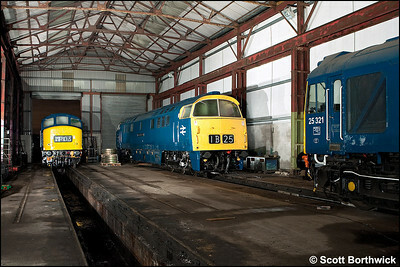 D1048 'Western Lady' has 25321 & 45108 for company as it undergoes maintenance inside the shed at Swanwick TMD on 12/12/2009. 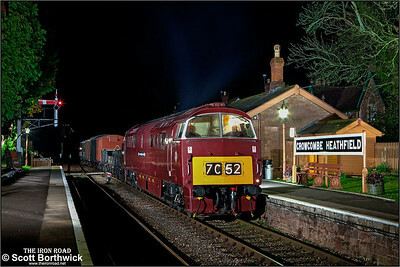 D1010 'Western Campaigner' masquerading as D1035 'Western Yeoman' arrives at Crowcombe Heathfield with a mixed freight from Minehead on 12/11/2011.